As a board-certified dermatologist and cosmetic surgeon, Dr. Joel Schlessinger is always looking for the latest innovations in skin care. 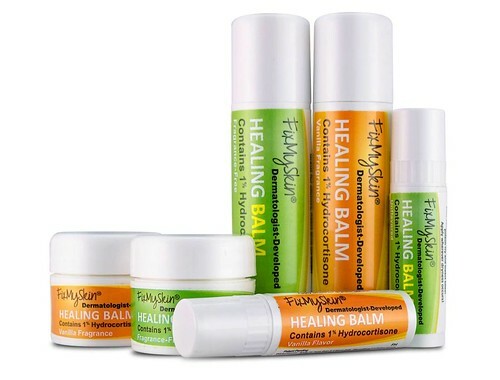 He personally searches for and selects the best skin care products to offer on LovelySkin.com. In fact, these are the very same formulas he recommends to the patients in his clinic. The latest addition to LovelySkin is NuGene, a line of clinically proven anti-aging products that uses stem cell technology to create a more youthful appearance. Dr. Joel Schlessinger is excited to add NuGene products to the LovelySkin lineup. 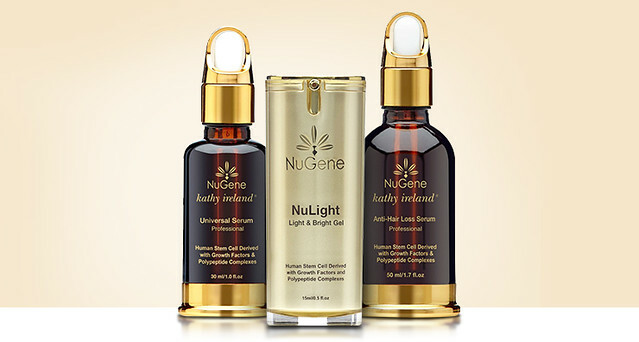 NuGene offers skin and hair care products powered by adipose-derived human stem cells, or stem cells derived from fat, to provide visible anti-aging results. “I am delighted to carry NuGene as I have followed their products intently for some time now,” Dr. Joel Schlessinger says. NuGene products use growth factors to stimulate collagen production, Dr. Joel Schlessinger explains. Powered by these unique stem cells, NuGene products help stimulate collagen to diminish the appearance of fine lines, wrinkles and other signs of aging. NuGene hopes to reach a wider audience with Dr. Joel Schlessinger’s help. With its addition to LovelySkin, NuGene’s line of anti-aging and hair care products will now be available to hundreds of thousands of customers across the world. The NuGene team is also excited to see how a partnership with LovelySkin will help them grow as a company. Do you have a question about NuGene for Dr. Joel Schlessinger? Share with us in the comments. The American Academy of Dermatology (AAD) holds an annual educational conference to discuss the latest developments in skin care and dermatology. Last weekend, Joel Schlessinger MD and his team attended the conference, enjoying lectures, viewing exhibits and meeting with other professionals from across the country. The AAD meeting is a chance for Joel Schlessinger MD and other professionals to learn about new skin care products and procedures. The 2015 AAD conference featured new treatment options that dermatologists will be able to incorporate into their practices. Joel Schlessinger MD looks forward to offering these new treatments for his patients. Joel Schlessinger MD finds the annual AAD conference beneficial for both himself and his staff. After attending for many years, Joel Schlessinger MD still appreciates the educational value of the annual AAD meeting. As the weather gets warmer, it’s time to prepare for sandal-ready feet. In the winter, dry air depletes skin of essential moisture, causing feet to become rough, cracked and worn. Luckily, Clarisonic’s newest skin care tool is designed to address this very problem. In his most recent presentation, Joel Schlessinger MD answers frequently asked questions about the Clarisonic Pedi Sonic Foot Transformation System. This skin care tool will soften hardened heels just in time for spring, Joel Schlessinger MD explains. The Clarisonic Pedi System is designed to smooth and soften rough feet from the comfort of your own home. This set helps you achieve smooth and sandal-ready heels. The full kit includes the device, a smoothing disc, a buffing brush, a hydrating balm, an exfoliating treatment and a foot peel. Joel Schlessinger MD recommends using the buffing brush as a daily treatment for rough soles. Twice weekly, use the smoothing disc on hardened areas that need a little extra attention. The Clarisonic Pedi is specifically designed for use on the feet, Joel Schlessinger MD says. Like all Clarisonic devices, the Pedi is equipped with technology that really works. It features three speeds and an adjustable timer. The system is also water-resistant so it can be used in the shower. However, Clarisonic facial brush heads will not work with this skin care tool. The Pedi device is built with a different motor that is only safe for use on the feet.